If you follow the blog or know me, you might know we recently got on the ladder and bought a ‘fixer upper’ property. 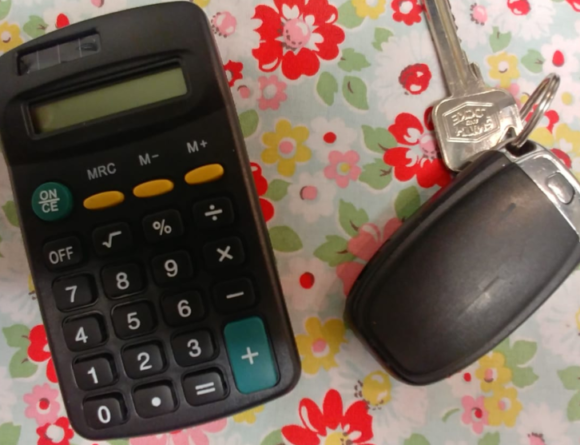 We’ve embarked on a complete rehaul and tried to save money on every aspect of DIY in the process. Who knew kitchens, bathrooms and furniture were soo expensive?? One thing I discovered along the way is how much the little details count. What colour flooring to get, what curtain fabric to use, which tiles will go best in the kitchen or bathroom. So naturally, I went on a free sample frenzy and made a list of all the places to find free interior design samples. It didn’t help my serious case of decision fatigue, but it did save us from making any expensive mistakes on the above. Hopefully, you’ll find these as useful as we have! Why order fabric, tile or floor samples? Why would anyone want to spend their time sending off for a 10 x 10 cm cube? Well, for starters it will save you a bucket load of money from choosing the wrong laminate flooring shade in 30 packs or purchasing a sofa that’s definitely not matching up to the colour it looks like on the website. It’s also great for any arts and crafts projects! How much do fabric, tile & floor samples cost? That’s the beauty of it, 100% free my friends! Until you make a purchase on their website, you won’t shell out a penny. 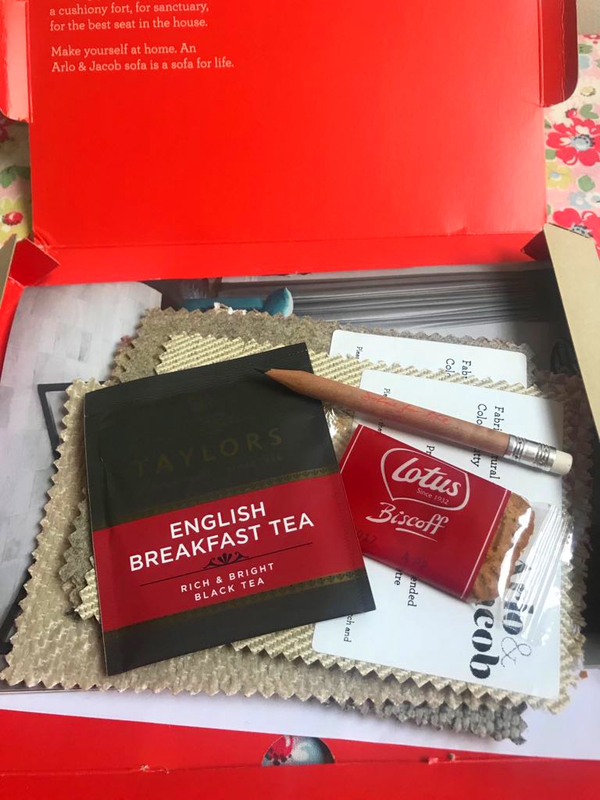 Even better, your free samples also sometimes come with a tea bag and a biccy AND a discount to encourage you to choose their company. Will I get harassed if I apply for free samples? Companies will send you follow up emails asking you how you liked your free samples and of course, ask you if you’d like to follow this up with a sale. If you’ve left your number (I usually enter an old one so they can’t contact me) then just tell them you’re not interested and they won’t call you again. 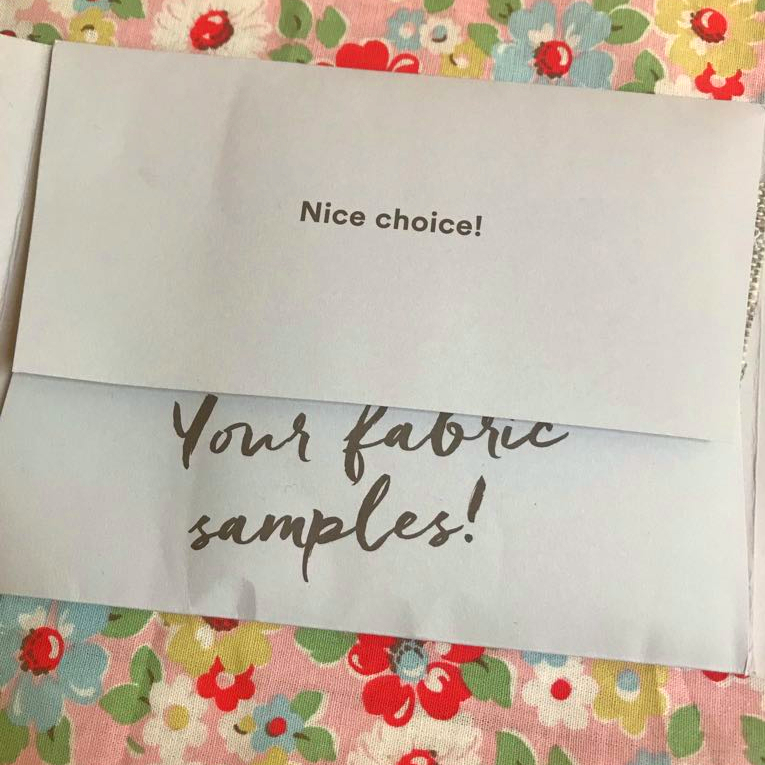 I know lots of people feel cheeky ordering samples and feel obliged to buy something from the company but trust me, you’re under no pressure here. 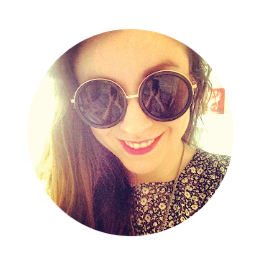 Loaf are a fabulous interiors brand that work with lots of lovely designers across the globe. 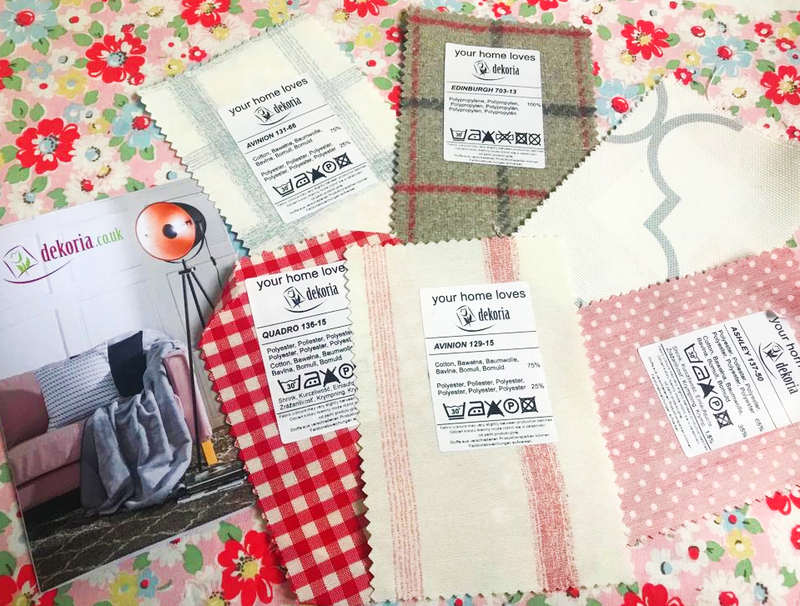 You can add up to six free sample fabrics on one order and they’ll pop them in the post for you. Arlo and Jacob are giving away up 8 free fabric samples in a range of luxurious prints and designs. You can choose from lots of classic colours or go for something more daring if you wish. 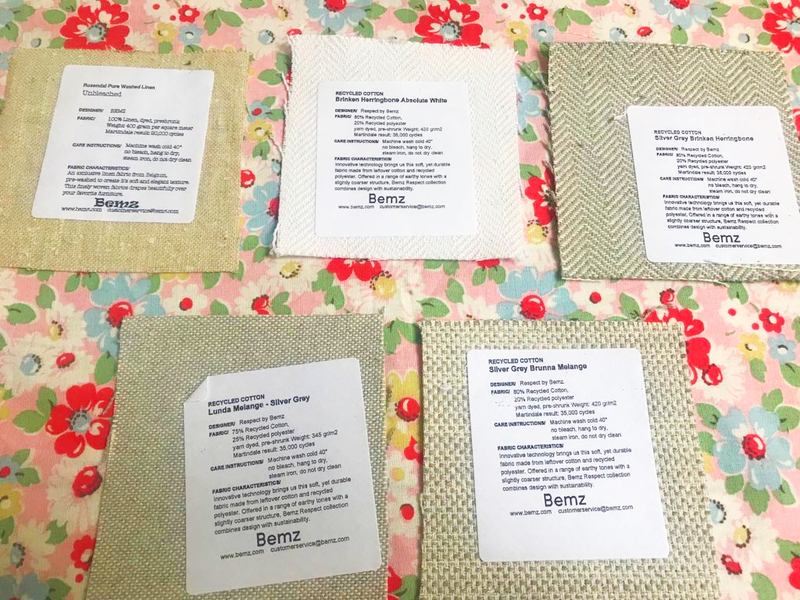 Bemz offers 5 free fabric samples to potential customers who are looking to cover their IKEA furniture, including sofas, headboards, day beds, bean bags and more. By the time I was done looking through all the options, I was definitely considering changing my sofa! Willow and Hall offer what they call a ‘cosy pack’ which sounds lovely! You can select up to 8 samples and select products that you’d like more information on (if any) but don’t worry, it’s not pushy. They’ll pop your pack in the post for you, simple as 1-2-3! Sofa.com give away 8 fabric samples and help you choose a look from a range of options, including pretty pastels contemporary cool, mid-century or English country. The choice is yours! They’ll send your samples straight to your front door. I could spend hours in Dunelm looking at their aisles of amazing fabrics and prints! 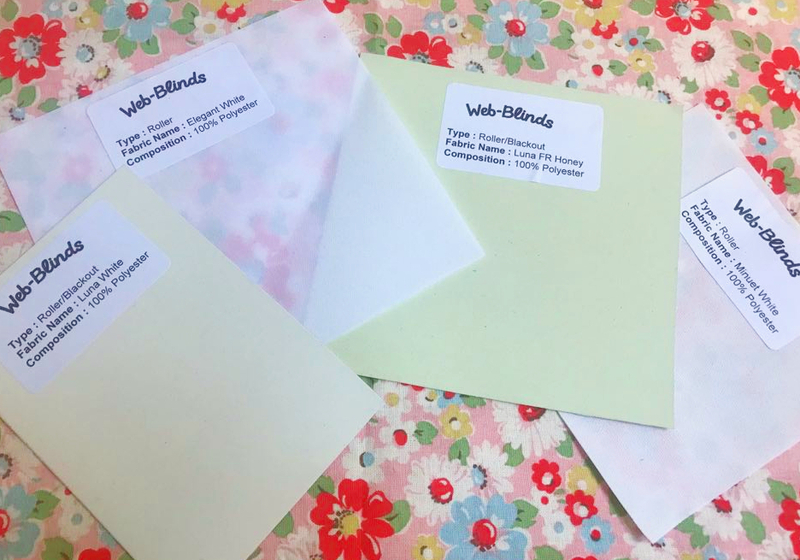 You can order up to 6 free fabric samples and while they don’t have that many to choose from, it’s quality over quantity here. Dekoria do these absolutely adorable prints, perfect if you have kids or just appreciate a dainty, feminine fabric print! These are very Laura Ashely-esque, polka dot, floral, gingham, so many choices! These guys specialise in simple and classy looking fabrics for your home. 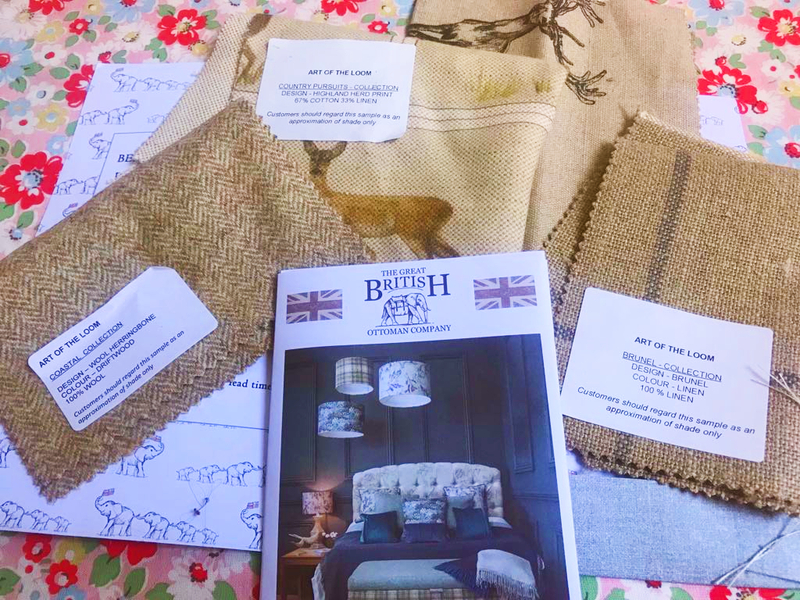 You can claim up to a whopping 10 free samples so get stuck in and find some stunning fabrics. Love your home have some lovely fabrics from cotton, linen and more in loads of fancy fabrics. They stock a good mix of nice plain colours and unique prints for all tastes. Claim up to 10 samples! This site specialises in super classy prints and designs, and you can order up to 5 very pretty fabrics or wallpaper samples 100% free of charge! If you’re after a mix of farmhouse meets modern, this brand is definitely for you! 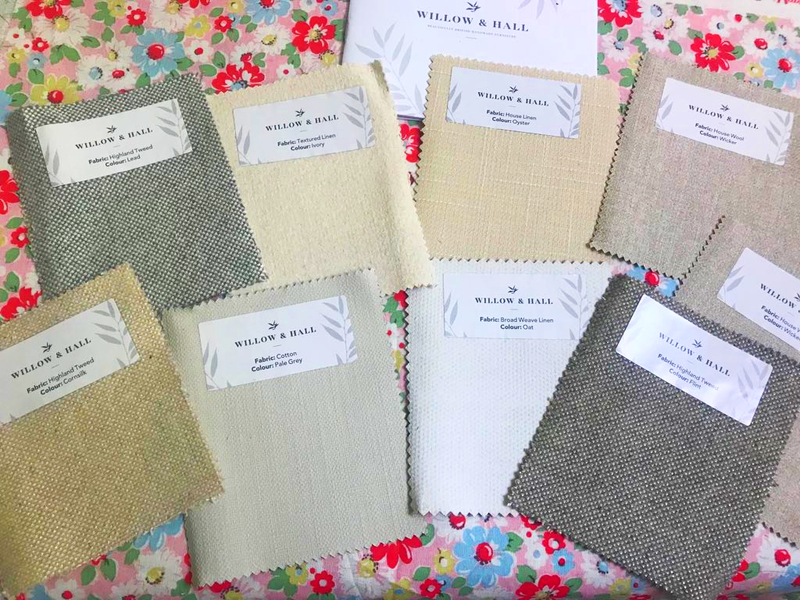 Order up to 5 pretty fabric samples from Wesley Barrell, who have lots of really nice floral prints up for grabs. These would look great on cushions or as a patchwork throw. For inspiration, check out all their prints now. Get up to 6 free samples from Neptune, yes it’s a pretty expensive brand but great for ideas on the kind of prints you can work with in your home. Modelli supply amazing prints for upholstery fabric so you can jazz up your chair or stools around the home. They have nice baroque, floral and houndstooth prints and you can order all your favourites for free! I love this brand! They stock your typical hipster, British heritage brands. So we’re talking stags, flags, English rose, plaid and everything in between. 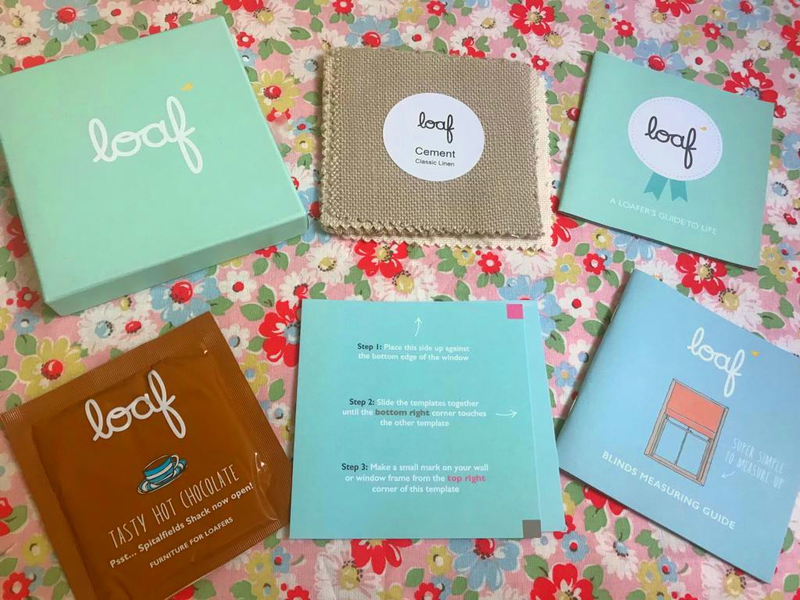 Check them out for yourself and order up to 6 samples, all completely free! Wow I actually didn’t realise how many fabric samples there were available! Score yourself some lovely free tile samples from Victoria Plum. They are giving away free samples on their website at 0% charge to yourself. They have some fancy ranges on there, including Laura Ashley’s stunning range. Order your free tile samples from the Tile Depot and get them within 72 hours. Choose up to 4 styles from their fantastic range. Which ones will you go for? This one works a little differently. You can purchase the tile samples online and return them to any Topps Tiles store for a full refund within 60 days of purchase. So, technically a freebie, even though you have to return it. Choose from over a whopping 6,000 tile ranges and get up to 6 tile samples for free with Walls and Floors. Talk about being spoilt for choice! Your tiles will be delivered within 2-3 days. Crown Tiles give away free tile samples from their wide range of lines. So, anything from plain old white tiles to more glamorous, patterned tiles, the choice is yours. You can order up to 4 so make sure you get a good varied selection on the go. Only Tiles send you up to 5 high-quality 150mm x 150mm samples. They send them out Royal Mail 1st Class so you can get them potentially the next day! Order up to three 100m x 100m stone flooring and wall tiles from Marshalls and they’ll pop them in the post for you. Grab yourself some of these stunning and super fancy tiles now to test them out in your dream bathroom renovation. Claim up to 6 tiles thanks to Tiles and Bathrooms online tile service. 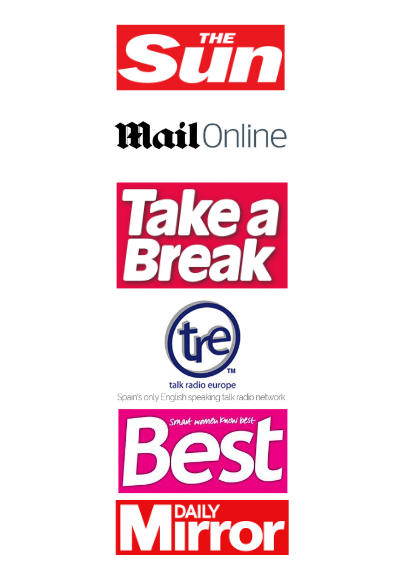 There are loads available so check out their site now for inspiration. Stone TIle Market have some really nice marble, porcelain and limestone tiles for sale and you can get a free sample on their site today with free delivery and your sample will be with you within 2 days. Another ‘fancy pants’ tile brand for you to try for free. Order up to 3 samples and they’ll pop yours in the post for free. If you’re feeling adventurous, this is definitely the tile store to order some samples from, they have all sorts of fab tiles! Floormakers claim to be the UK’s leading flooring supplier and you can see why! Their site is packed full of fancy flooring with choices for every taste and you can get up to 3 free samples delivered straight to your front door. Again, you’ll be spoilt for choice with Easy Step Flooring samples, order up to 3 now. Carpet Right offer up to 4 free samples delivered to your door within 5 working days. They have lots of cheap and cheerful designs from you to choose from! If you’re after proper wooden flooring then this company is for you! Order up to 4 samples for free. Flooring Supplies are another company that give away flooring samples so you can try before you buy. 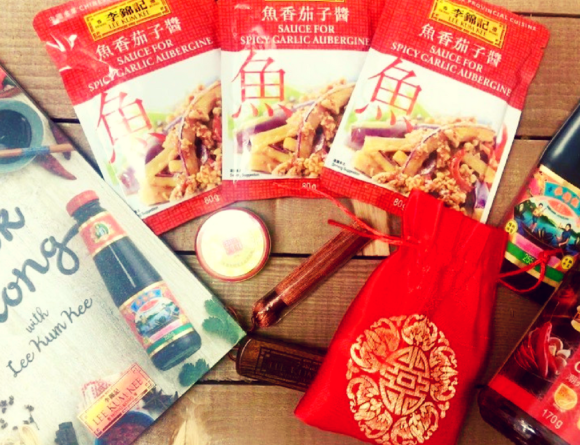 This is the company we went with for with our kitchen and we got quite a few samples beforehand. They were really good and the samples came in the post so quick! Again, there are so many companies to choose from! I definitely recommend trying samples out, especially with flooring because it’s such a big deal and can transform your home. What better way to finish off your home than with some stylish blinds or curtains? Get up to 5 samples adorable free sample prints, 100% free all thanks to Little Children’s Curtain Company. Again, loads of cute prints up for grabs so make sure you check these out for your home or to treat your kids to some fab new blinds or curtains! We’ve used these guys for our flat and they were really good quality blinds and they had super fast delivery. I think I read somewhere that it’s like a warehouse for Hilary’s stock? If so, then you know you’re getting quality blinds! So there you have it! There are loads of freebie samples up for grabs when you’re decorating your home. 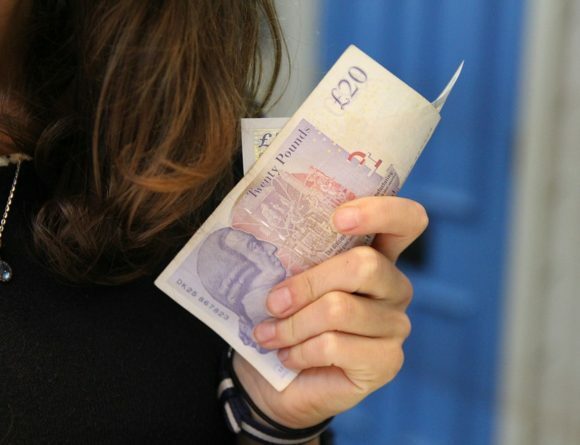 Even if you’re just looking for fabrics for crafting, this is definitely a good budget option.